This new model 101P-Mini is probably one of the smallest VFFS machines available but still able to pack product up to 1kg. If floor space is at a premium, this would be the ideal choice machine. It can make bags from 35mm wide, up to 170mm wide and from 60mm to 270mm long. All this is achieved in a floor space of 1.1m x 1.6m. 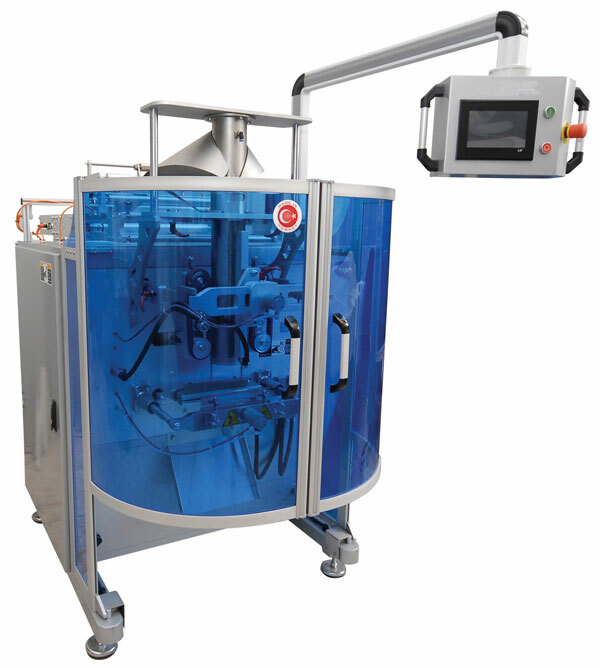 Although mini in size, the machine can be synchronised for all product feeders and can accommodate all the features of a larger machine, such as block bottom, quad seal, gas flushing and film web control. This new model 101P Standard, has all the features of the VFFS-Mini but with a larger bag size range. It is als a compact machine, not much larger than the VFFS-Mini.. It can make bags from 70mm wide, up to 320mm wide and from 80mm to 400mm long. All this is achieved in a floor space of 1.1m x 1.6m. 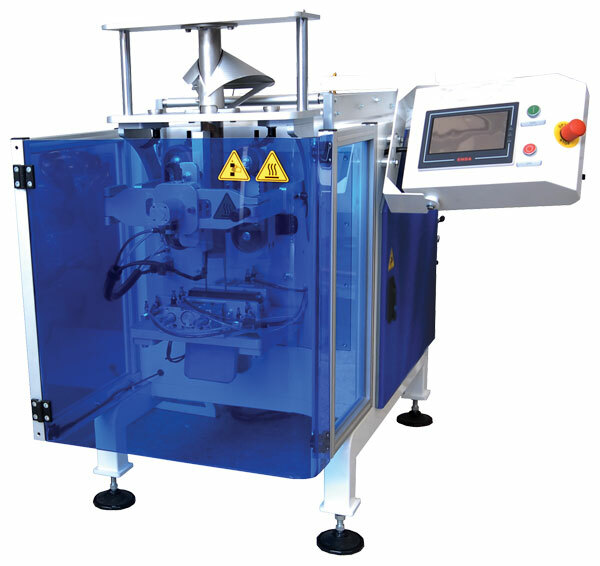 Although mini in size, the machine can be synchronised for all product feeders and can accommodate all the features of a larger machine, such as block bottom, quad seal, gas flushing and film web control.